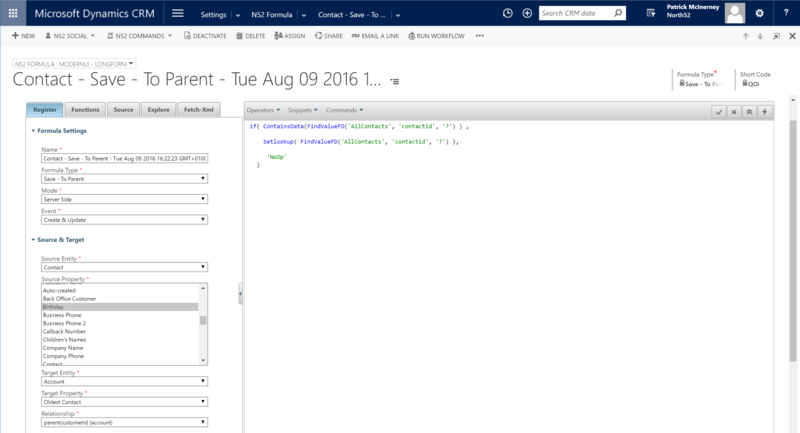 In this scenario we have a custom field on the Account form called 'Oldest Contact' which needs to be populated. The business rules states it should be populated with the oldest contact by Age linked to the Company. 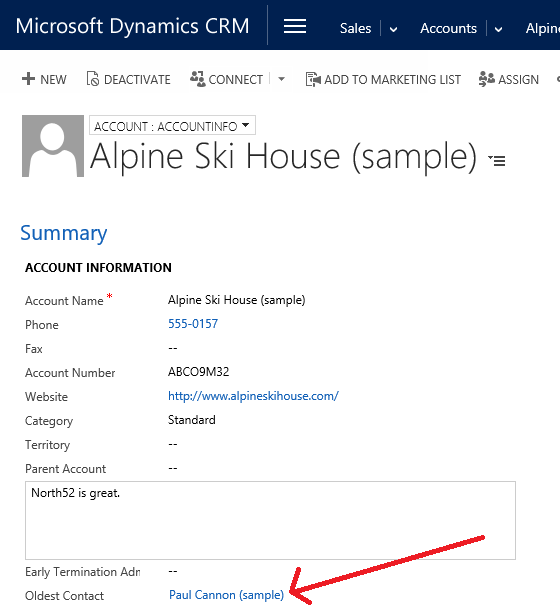 The business rule should be set-up so each time the birthday datetime field changes on the contact record the calculation should run & set the field on the Parent Account record. 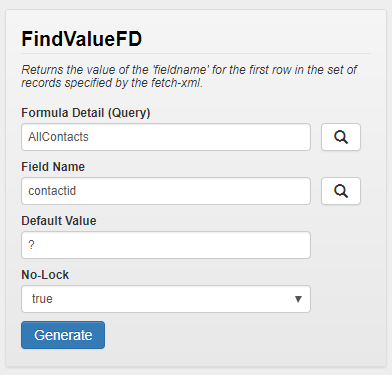 Create a new formula details \ fetch-xml query record by clicking on the 'Plus' icon in the subgrid. Note to find the value for Formula Details (Query ) , you will need to go to the Fetch- Xml tab and create the necessary Fetch Xml shown above.